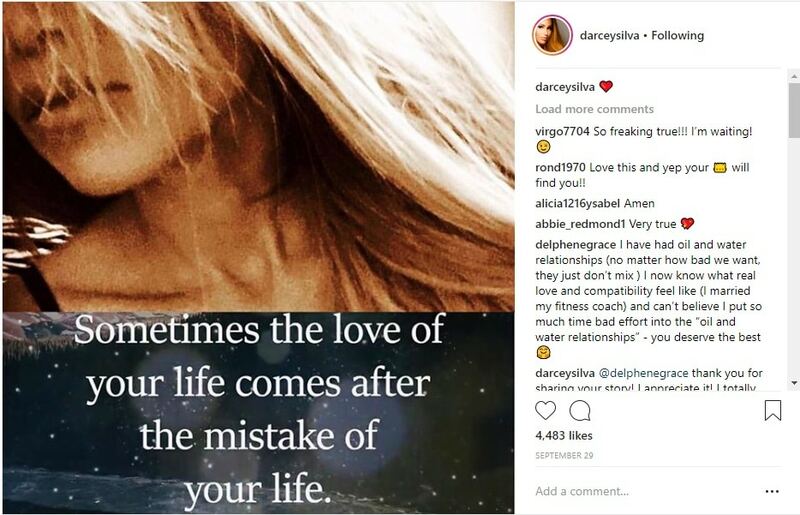 ’90 Day Fiance’: Darcey Silva Shows Off New Man, ‘007’ – Jesse Jabs Back With a Rainbow? 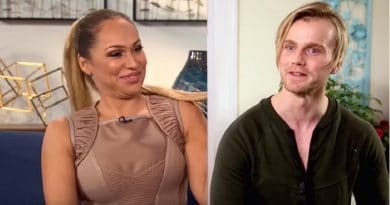 90 Day Fiance: Before the 90 Days stars Darcey Silva and Jesse Meester put on quite a show for the “Tell All” episode, which airs Sunday night. Preview clips from the 90 Day Fiance “Tell All” event made it clear that the relationship of Jesse Meester and Darcey Silva is kaput. In a recent online post, it looks like she’s got herself a new man. Darcey posted a photo and tagged this new guy, “My 007.” It’s obviously a James Bond reference because the man is British. Could this just be a ploy to get Jesse jealous? 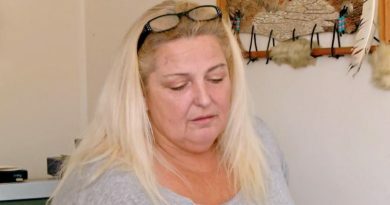 90 Day Fiance: Before the 90 Days – Darcey Silva Replaces Jesse Meester? It seems that she’s found the love of her life after going through one big mistake. It looks as if she’s traded up in age, this man looks much older Jesse, so he’s more age appropriate. Darcey’s sister recently claimed Darcey paid for a lot of the traveling and outings with Jesse. A look at this guy’s profile seems to indicate that won’t be a problem this time around as he appears to be well off. 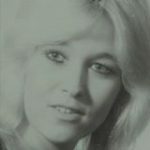 If all this is true and not a ploy to peeve off Jesse, then some fans are going to be happy for this woman from Connecticut. If this is the new man in Darcey Silva’s life, it appears she is playing it a little differently this time around. Unlike her time with Jesse Meester, where she saturated her social media accounts with pictures of her Amsterdam prince, this guy remains undercover. So far, fans of the 90 Day Fiance star get to see only one picture of her 007, which is posted below. Is this guy a fantasy for Darcey or is he really her 007? Darcey’s post also indicates this man’s name is Tom Brooks. When you click on his Instagram account, you see he has 24.8k followers. His page also indicates he’s followed by Darcey Silva. Is this a crush or is this the real thing for Darcey? It is not the first time Darcey teased that she’s got a new man in her life. The last time Darcey Silva announced a new man, she went on a social media rant in the wee hours of the morning. She seemingly bashed Jesse Meester without mentioning his name. Darcey Silva claimed she will never forget her new man who she called “Tyler” and “Ty” in that rant. Some 90 Day Fiance: Before the 90 Days fans suggested she might have been drinking at the time, as the rant disappeared a short while after it went up. Fans also believed the rant was trying to get Jesse jealous. Darcey’s 007 looks like he’s just waking up in the picture above. He’s sporting sleepy eyes and it looks like he wrapped in a comforter, not to mention his tousled bed hair. 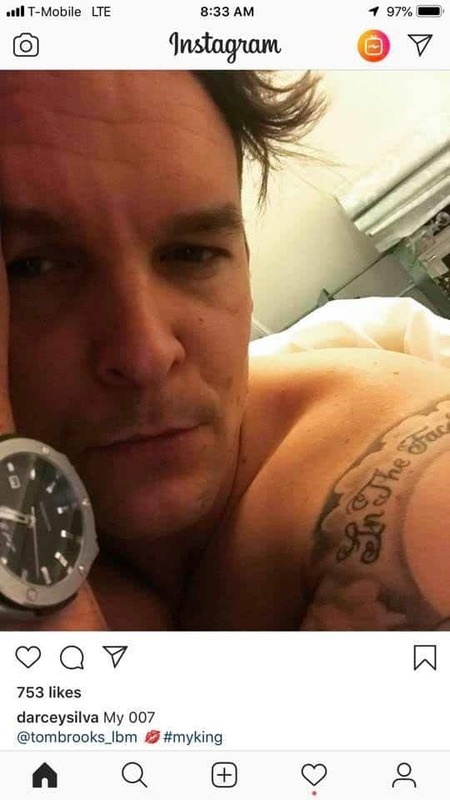 It looks like an alarm clock nearby, offering more evidence that this guy is in bed in this picture. Darcey’s OO7 is sporting a tattoo on his left shoulder with only a couple of words visible. Before the 90 Days – Jesse Finds a Rainbow After Storm Darcey? Another Before the 90 Days‘ party was also heard from recently, Jesse Meester. He claims that you have to endure the rain before you see the rainbow. The man from Amsterdam also goes on about helping people who find themselves in a certain situation. Jesse claims in his post above that if you are “a victim of somebody else’s issues, smallness or insecurities always remember things could be worse.” Uhmm… who is Jesse Meester alluding to with this sentence? At first glance, it looks as if Jesse is still preaching about Darcey Silva online. It also looks like Darcey is still attempting to make Jesse jealous with her posts? While neither mention the other’s name, it does sound as if they are posting jabs at each other still today. Although there is an outside chance that Darcey Silva really has moved on. There’s also a chance that her 007 really does exist in her life now. Check back to Soap Dirt often for the latest news on 90 Day Fiance: Before the 90 Days.